TORONTO (February 7, 2017)— Vanguard Investments Canada Inc. today announced the listing of four new low-cost and high-quality Canadian fixed income exchange-traded funds (ETFs). All four began trading on the TSX today. Vanguard Canadian Government Bond Index ETF (TSX:VGV) – The Vanguard Canadian Government Bond Index ETF seeks to track the performance of a broad Canadian government bond index and invests primarily in public, investment-grade government fixed income securities issued in Canada. This ETF seeks to track the Bloomberg Barclays Global Aggregate Canadian Government Float Adjusted Bond Index. Vanguard Canadian Corporate Bond Index ETF (TSX:VCB) – The Vanguard Canadian Corporate Bond Index ETF seeks to track the performance of a broad Canadian credit bond index and invests primarily in public, investment-grade non-government fixed income securities listed in Canada. This ETF seeks to track the Bloomberg Barclays Global Aggregate Canadian Credit Float Adjusted Bond Index. Vanguard Canadian Short-Term Government Bond Index ETF (TSX:VSG) – The Vanguard Canadian Short-Term Government Bond Index ETF seeks to track the performance of a broad Canadian government bond index with a short-term dollar weighted average maturity and invests primarily in public, investment grade government fixed income securities issued in Canada. This ETF seeks to track the Bloomberg Barclays Global Aggregate Canadian Government 1-5 Year Float Adjusted Bond Index. Vanguard Canadian Long-Term Bond Index ETF (TSX:VLB) – The Vanguard Canadian Long-Term Bond Index ETF seeks to track the performance of a broad Canadian bond index with a long-term dollar weighted average maturity and invests primarily in public, investment grade fixed income securities issued in Canada. This ETF seeks to track the Bloomberg Barclays Global Aggregate Canadian 10+ Year Float Adjusted Bond Index. The Vanguard Group, Inc., is one of the world’s largest fixed income managers. The four ETFs launched today will be sub-advised by The Vanguard Group, Inc.’s deeply experienced Fixed Income Group, which are currently responsible for over US$1 trillion in global assets. “Vanguard now offers nine total fixed income ETFs in Canada including domestic, U.S. and global bonds, to help provide investors with the building blocks to construct well-diversified portfolios,” added Huver. This brings the total number of Vanguard ETFs in Canada to 33, with over $9.6 billion (CAD) in assets under management (as of December 31, 2016). 1The management fee is equal to the fee paid by the Vanguard ETF to Vanguard Investments Canada Inc. and does not include applicable taxes or other fees and expenses of the Vanguard ETF. Commissions, management fees, and expenses all may be associated with investments in a Vanguard ETF®. Investment objectives, risks, fees, expenses, and other important information are contained in the prospectus; please read it before investing. ETFs are not guaranteed, their values change frequently, and past performance may not be repeated. Vanguard ETFs® are managed by Vanguard Investments Canada Inc., an indirect wholly owned subsidiary of The Vanguard Group, Inc., and are available across Canada through registered dealers. This material is for informational purposes only. This material is not intended to be relied upon as research, investment, or tax advice and is not an implied or express recommendation, offer or solicitation to buy or sell any security or to adopt any particular investment or portfolio strategy. Any views and opinions expressed do not take into account the particular investment objectives, needs, restrictions and circumstances of a specific investor and, thus, should not be used as the basis of any specific investment recommendation. Please consult your financial and/or tax advisor for financial and/or tax information applicable to your specific situation. Investments in bonds are subject to call risk, credit risk, income risk and interest rate risk. Please see the Vanguard ETFs' prospectus for a description of the unique risks applicable to bond investing. All investments, including those that seek to track indexes, are subject to risk, including the possible loss of principal. Diversification does not ensure a profit or protect against a loss in a declining market. Any given ETF may not be a diversified investment. The Vanguard ETFs are not sponsored, endorsed, sold or promoted by Barclays Risk Analytics and Index Solutions Limited or its affiliates (“Barclays”). Barclays does not make any representation regarding the advisability of investing in the Vanguard ETFs or the advisability of investing in securities generally. Barclays’ only relationship with Vanguard is the licensing of the Index which is determined, composed and calculated by Barclays without regard to Vanguard or the Vanguard ETFs. Barclays has no obligation to take the needs of Vanguard or the owners of the Vanguard ETFs into consideration in determining, composing or calculating the Index. Barclays has no obligation or liability in connection with administration, marketing or trading of the Vanguard ETFs. Vanguard Investments Canada Inc. is a wholly owned indirect subsidiary of The Vanguard Group, Inc. and manages more than CAD 9.6 billion in assets. The Vanguard Group, Inc. is one of the world's largest investment management companies and a leading provider of company-sponsored retirement plan services. Vanguard manages USD 3.9 trillion in global assets, including over USD 600 billion in global ETF assets. 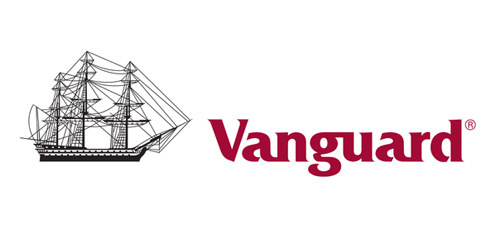 Vanguard has offices in the United States, Canada, Europe, Australia and Asia. The firm offers more than 360 funds, including ETFs, to its more than 20 million investors worldwide. Vanguard operates under a unique operating structure. Unlike firms that are publicly held or owned by a small group of individuals, The Vanguard Group, Inc. is owned by Vanguard's U.S.-domiciled funds and ETFs. Those funds, in turn, are owned by Vanguard clients. This unique mutual structure aligns Vanguard interests with those of its investors and drives the culture, philosophy, and policies throughout the Vanguard organization worldwide. As a result, Canadian investors benefit from Vanguard's stability and experience, low-cost investing, and client focus. For more information, please visit vanguardcanada.ca.